Just from the 45 minute demo I played, I can tell that Owlboy has more effort and love put into it than almost any triple-A game released this year. My first interactions with the game and its developers have left me reeling in surprise after dealing with poorly optimized games with slow or incompetent developers for years. The Owlboy team is a shining star of charm in an industry full of microtransactions, DMCA takedowns, and other reasons to dislike a developer. I’ve grown accustomed to emailing developers at least a month in advance when asking questions or asking for review copies of a game, something I started doing after Microsoft waited two months to respond to my emails about Quantum Break. On Sunday night, I emailed the developers of Owlboy, Dpad studios. I was asking if they would be sending out review copies of the game upon release, and if they were going to, if they could send a copy to TAY. Having sent the email at one in the morning, I forgot that November is TWO months away. Not only did I get an email back WITHIN THE HOUR, it was from a human being with a human response. No pre-written message designed for journalists sending emails, no PR back and forths, a genuine member of the developer team gave me a genuine response, even poking fun at me emailing them two months prior to the release of the game. The member of the team who emailed me, Jo, even included a steam key for the game’s demo. Afterwards, the email contained info in addition to the press kit on the game’s site which will be useful to know for future coverage. To people outside the industry, THAT’S RARE. A genuine, informative, and helpful email? That wowed me and showed how much of a handle the developers have on making a game and getting good coverage. So now that I’ve finished detailing about how much the developers wowed me, why did the game they’re making wow me so much? Like I said in the lead, it has so much charm. The visuals have the most stunning pixel art I’ve seen in my life. Movement was both fluid and intuitive. The Gameplay, despite the demo only showing a small portion of the game, was nuanced, fun, and full of potential for later parts of the game. Rather than giving the player a gun to shoot with, you have to literally carry the main character’s friend who carries a gun, and use him to shoot at targets. This adds an additional layer of complexity to combat and the several environmental puzzles in the demo. At the end of the demo’s dungeon, you acquired an item which lets you teleport your gun-toting buddy to your location. What’s fantastic about this mechanic is that you can engage in complex environmental puzzles and complex combat without having to micromanage where your allies are when you need them. One issue I’ve always personally had with platformers is that I find they monotonous. Metroid always got boring, I’ve only even finished Mario Galaxy, and despite loving the series I could only ever play a few hours of Ratchet and Clank before I got tired. There was never a monotonous moment, as the demo’s first dungeon kept introducing new kinds of small puzzle mechanics and when outside the dungeon, you never felt like you were spending a lot of time wandering looking for the next plot point. 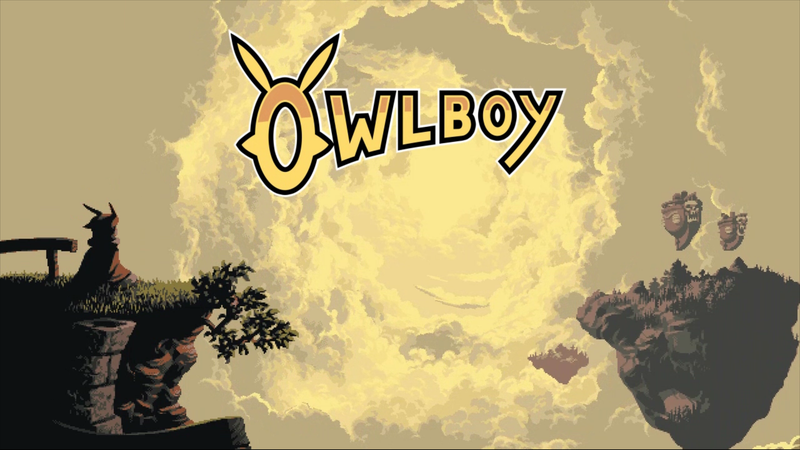 I had no trouble playing all the way through the Owlboy demo all the way through, and still want to play after it was over. The first dungeon had several small puzzles which were really fun to figure out despite their extreme simplicity. I’ve just never felt so enticed by a platformer before and I’m genuinely excited to review the full title when it comes out on steam November 1st this year.